It is hard to describe the early days of an Alzheimer’s sentence. A gentle fog rolls in and lingers for a while, deepening ever so gradually until one day you wake in blindness – into a confusion so thick, you forget forgetting. The front door knob is clattering and I hear Momma’s slurred and drowsy mumble: “I need to get out of here.” It is barely 4 am and the first rain we’ve had in weeks beats against the house through the darkness. Blurry-eyed, I tie my robe around me and ascend the few steps to the platform between our separate floors where Momma pulls at the door and continues to mutter. She is hunched and shuffling and I might think she was sleepwalking. But this is dementia. I guide her from the door, up the steps, down the L-shaped hallway, and into to her sliver-lit sleeping quarter where cracks of light from the adjacent bathroom spill across her place on the bed. I lead her to the lip of it, wrap my arms around her, and bear down with a hug ‘til she sits. She has forgotten how a bed works, how to climb into it, how to place her head on a pillow, how to gather the covers around her, how to close her eyes, how to sleep. They never told me she would forget how to sleep. I tug the blanket low, and use her bottom as a fulcrum to cantilever her legs atop the mattress. She is once again splayed beside my heartsick father, and in the faint glow from the street lamps filtered through the window blinds, I can see him lying like ironwood, his eyes wide with anguish and uncertainty. Even as he becomes a stranger to himself, her familiar face is never nameless. Their near simultaneous diagnoses compelled me back to my childhood home. I thought I had unfastened my blood ties when I left that place five years prior, but a primitive sense of duty, a magnetism of chromosome and marrow, conscripted my return. It was spring 2010. My parents had both been sentenced to Alzheimer’s. I hadn’t even hit thirty. I am in my mid-thirties now and I rarely make new friends. On the occasion when I do, I am commonly asked whether I have children. “Yes, I have two… They are 64 and 80.” Momma is my baby. I put pictures of her on Facebook, give her baths, change her diapers, prepare her food, lay beside her until she’s sleeping. Dad is my awkward adolescent. He stands before me every morning with an anxious question – “Do I look okay in this?”. He can’t make up his mind but won’t let me make it up either. He has simple chores around the house – scoop the cat box, wipe the table, carry out trash. They raised me, now I am raising them in reverse. The makings of my childhood: You grow your children the best you can. Love is an ever changing recipe comprised of what you have to give in a moment, and what you don’t. The absence of one ingredient felt as loud as the presence of another. The hearts Momma would draw in my peanut butter sandwiches. Hiding away for days in her room, not acknowledging my knocks and pleas. The notes she’d leave on my lunchbox napkins – “Mommy and Daddy love you. You’re a special girl.” Leaving them so that later in the day when she was bruising her head against a wall, I’d have a flimsy paper to hide behind and to stuff my ears with. Dad’s mix was more consistent. Singing lullabies at bedtime, hitting the high notes with his honey warm voice. The silly way he’d answer the telephone pretending to be a butler. His constant willingness to take us in his arms. The ease with which he cried. He worked six days a week until the year he was diagnosed. He was 75 at the time and still giving every last cent and every last second to the work he loved, to the wife he adored, and to the children whose simplest actions kept him proud. Even now when I take him along to the market, he beams with pleasure and tells me how good I am at gathering groceries. It is 5:30 am. I am awake to see my fiancé off to work, and then I will sleep a while longer before I ready Dad for his day program. I am minutes back in bed when the floorboards are groaning and I recognize Momma’s heavy stride. I climb up the stairs to find her just about to head down them. I can see in her eyes that this will be a wild morning and my body grieves the dreaming hours lost. The sapphire sky is softly blushing behind the eastern face of the house. I am desperate to convince her back to bed. But dementia cannot hear reason. So I carry her. One hundred and sixty pounds, and squawking. When we arrive at her room, I place her on the bed and pull the blanket to her chin. “Shhhhhh, shhhhh. Go to sleep girl,” I whisper, petting her eyelids closed as she flaps about in protest. Dad is fully dressed all the way down to his sneakers, and he lays barely breathing atop the blanket to her left. “She has been doing this all night” he grits accusingly. And my own exasperation creeps in as I admonish him. “Stop this Dad! She has dementia!” Before I remember that he does too. My love for them shows up in my duty – wiping their toilet, pressing Dad’s shirts, cutting up bananas to hide Momma’s pills – but it has become difficult for me to feel kindness, and by dawn some mornings, after putting them back to bed a dozen times, after lying strung out in the space between, vigilant and sleepless, I am so thick with resentment, I will avoid Dad’s eyes and pretend I don’t hear when he greets me with affection: “Good morning babe.” He will say it a couple more times before shuffling down the hall wondering if I was really there. School… More than any other moment this morning has seen, the sound of that word penetrates my armor. I am no longer on guard. I am no longer their protector. I am a hysterical child. I am so glad this exists for you, elizabethgrace, to make it real, to share what others might not believe or understand can be. You do it well. Love you so much GFV. Thank you for sharing your journey with us. Your love and dedication to your parents is a true testament to the 5th Commandment. If only the rest of the world would put the same value on our elders what a different place it would be. Thanks for sharing this experience. Bless you, your husband and family. I am a cancer survivor ….I totally empathize with you …with 2parents. I’m the only child of a dementia patient. Except that I am it. There are no siblings, aunts or uncles, cousins or a partner. I interrupted a masters degree to move home across the continent to care for her.. add a full-time job to the mix… and the once-promising master’s degree and professional credential has vanished The job nearly evaporated too after a stress leave. After years away, there were no close local friends – and no time to make new ones…nevermind a partner. When my mother climbed out of the 2nd floor bathroom window and shattered her leg in the resulting fall I told the hospital point blank that I couldn’t take her home. She’s at a point now where she can’t be taken out without causing scenes, but is well enough to call the police to report me missing when she forgets I am away. This is year six. I was 30 when I realised something was wrong, 31 when she was diagnosed. She is still physically healthy. By the time this disease is through I will have spent the decade of my life when I should have been building my own network and family on managing her life. She will die, and I won’t have been able to have cared enough for both of us. I cannot imagine how you do it, how you can keep doing it – to accept the personal trade-offs. Your strength is amazing, and so must be the strength of you support network. Take care sweetheart & you may certainly reach out to me if needed! You are a sweet and beautiful daughter. You must be a strong person as well. I live this myself, as the primary caregiver of my 84 y/o mother. We are in different stages of this horrible disease but the same stories apply. Thank you for so eloquently writing and expressing how I feel daily. I know how difficult it can be a Caregiver, try to find the positive of each day and find a moment to recharge your patience and your spirit. You are a very special person to be on this journey and may God bless you and grant to strength and love. Elizabeth, I just found your blog today and have been reading your posts for over an hour. I just want to hug you and cry with you. Your story is tearing at my heart. My mom had ALZ – diagnosed at age 64. She passed away this past Thanksgiving weekend at age 75. This particular entry touches my heart greatly, as it reminds me so much of the time I spent with my mom in her last year. I am so sorry you and your family are having to deal with this horrible disease. It is just so cruel. It takes our loved ones away from us, and it takes so much away from us as caregivers and loved ones as well. It is horrible to miss someone who’s still here. I will have you in my heart and my prayers, and I will continue to pray with desperate vigor that we find treatments and cure soon soon soon. There are too many of us in this situation. God bless you all. I am also a writer who loves to write about how my journey through this life has taught me so many lessons and helped me understand the reason we exist on this planet and why we should take out moments to reflect. I love this piece and the way you so poignantly give us a vignette of alzheimers. May your struggle be what gives you tremendous strength to, not only endure, but teach. This is the most heart wrenching cronicle of altimers deasese ! Have ever read it pains me deeply for my father lived with me for 4 years while I continued to work at my job. I know the resentment, the selfishness and the feeling of when is it my turn to live. So glad I found this website/blog. Thanks for sharing, I know the days and pain all to well. Good to read a real deal on this disease. Not one sugar coated or someone giving advice that is so generic it never works. Elisabeth, I found your site a while ago and I can’t tell u the feelings of strength and renewed purpose I feel when I visit your site. I too am a caregiver, twice as old as you and my mother is 90, but we both live in similar worlds. When I’m stressed or upset or just another tough day I will read one of your beautifully written stories and remind myself of the little joys in life. I wanted to say thank you for sharing and helping me more than you could ever know. Bottom line I Learned. Put your own oxygen mask on first. No one person can do it alone. You need a village a staff. I almost lost my health and sanity. My mother is now in a very good place. Now the caregiving is different but it is still stressful. I really think support is critical. The story to many of us hit home in our heart’s. Bless you with the struggles and those small moments of clarity will make it all worth it. I have read the replies from the people going through this horrible disease with their loved ones. I’m 69 & was diagnosed with Alzimers 4 yrs. Ago. My short term memory is totally gone. But still able to do light housework. I have trouble, & get sidetracked a lot. Takes me a long time to get dressed, and everything else. I really admire the young lady that is taking care of both parents. That takes a tremendous amount of love &dedication. I know that she doesn’t have a life of her own. Her parents raised a wonderful daughter. I took care of my parents for 3 years before my dad died, & 5 more yrs. For my mom. They didn’t have Alzimers, but they had cancer and a bad heart. I look back and thank God for giving me the strength and patience to care for my sick parents. They took care of me when I needed them, I had the honor to pay them back. I try not to think about what lies ahead for me. It just makes me more nervous, and anxious. But I serve a God that has always looked over me, & I believe that He will be there with me to the end. I pray that my husband will have strength to endure til the end. He is a good man& I’am very lucky to have him. I hope there will be a cure in the future, but my time is running out. To all the caregivers out there, I pray that our Lord will be with you in every stage of this disease. Love to all,& God blesss. Alzheimers is a dreadful dreadful disease that has no positives ! at least with cancer there is a chance of regaining health but alz – all downhill ! we do have fun times still and that keeps us connected although sadly i have become aware my darling struggles to get the humour at times ! My heart breaks into smitherens many times each daybut thankfully love repairs it so ican go n and be strong ! At times i want to take a bundle of pills, lay down beside him and never wake again but of course this is not going to happen in reality – it is a type of escape daydream ! maybe we will find a cure a until then we live second by second, minute by minute, day by day! And feel compelled to leave another comment, after leaving one on your other page. I feel your utter exhaustion, yes, yes, yes. My mom was diagnosed in 2010 also, but showing signs earlier. I’d say she’s about 10 years in. She’s tough, doing a long hitch with this disease that comes straight from the dark side. I think every single ALZ patient is different. May your mom and my mom both get restful sleep (and us, too). FYI, my mom has been under the care of a geriatric psychopharmacologist for a long time, and we have to give her Seroquel to sleep. My mom has been prone to agitation all her life. She would NEVER sleep if it weren’t for the Seroquel. Perhaps that could help your mom. We give her one in the late afternoon also, for sundowning, and she tolerates it well. It doesn’t turn her into a drooling zombie at all. Whereas Ativan, that’s another story. She cannot metabolize that at all, and that does turn her into a drooling zombie. I am not in favor of over-medicating our ALZ folks, which is the default response in many (not all) nursing homes. Mom is still very alert. Again, many thanks for your tireless care. I guess I just tell myself I’ll put one foot in front of the other until I can’t. I just wanted to add that I am in no way trying to give pharmaceutical advice!!! 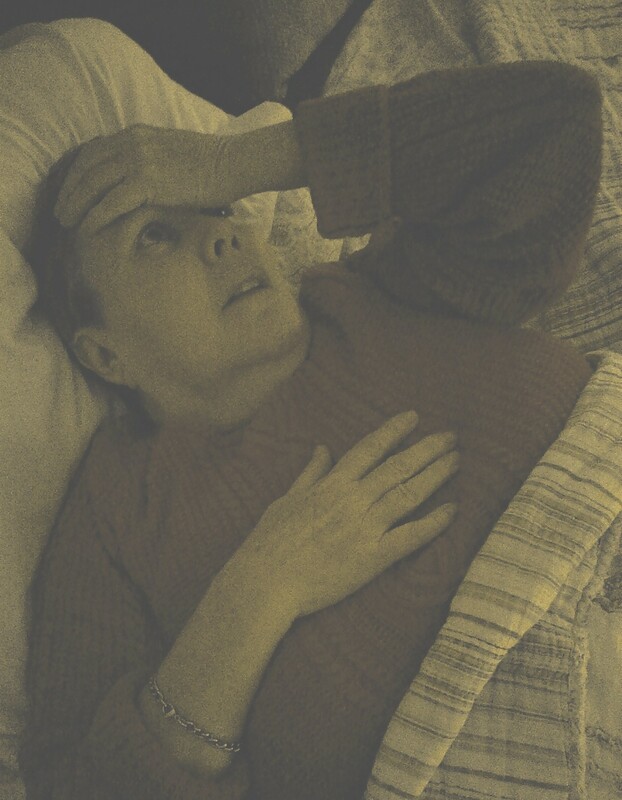 I just hope that there is some medicine that could relax your mom enough to sleep, that she can metabolize well. Just because Seroquel works for my mom (and it doesn’t always work, but works more often than it doesn’t), doesn’t mean it’s for everyone. It’s a matter of trial and error. My apologies if anyone got the wrong idea from my above post. Good wishes.